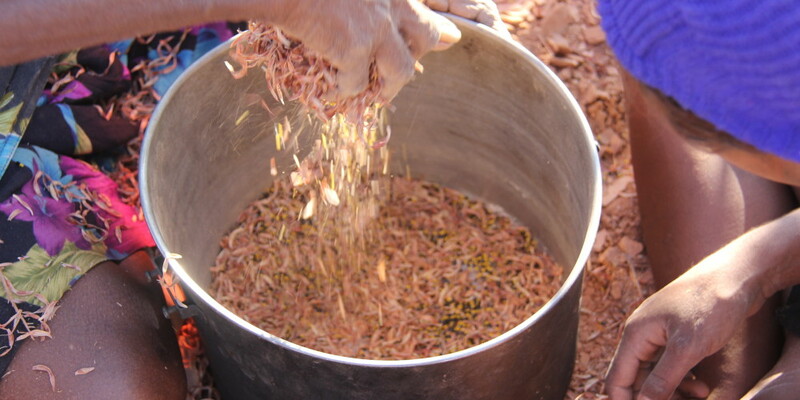 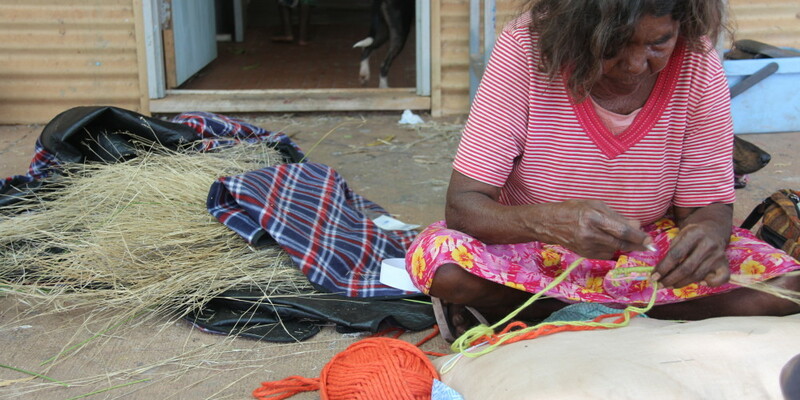 In October 2014 Terra Rosa Consulting facilitated a partnership with the Irrungadji community, Budadee Foundation and the Ashburton Aboriginal Corporation (AAC) to complete a basket weaving workshop with four teachers, eight students and a large number of volunteers. 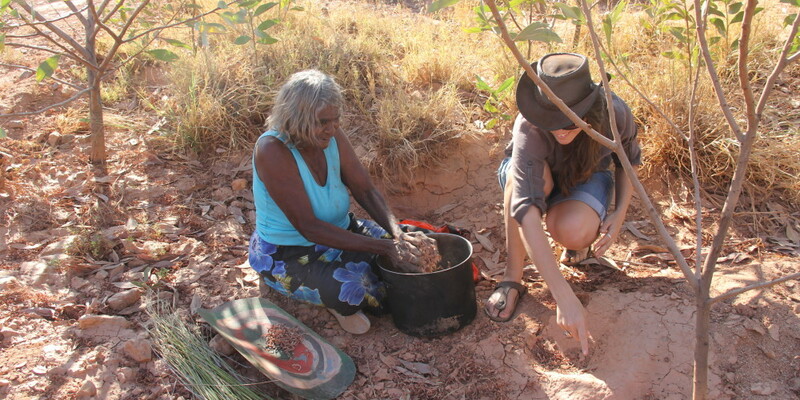 Two teachers, Valerie Ashwin and Julie Sailor travelled from Newman and Jigalong to participate in the workshop held at the community arts space established earlier in the year. 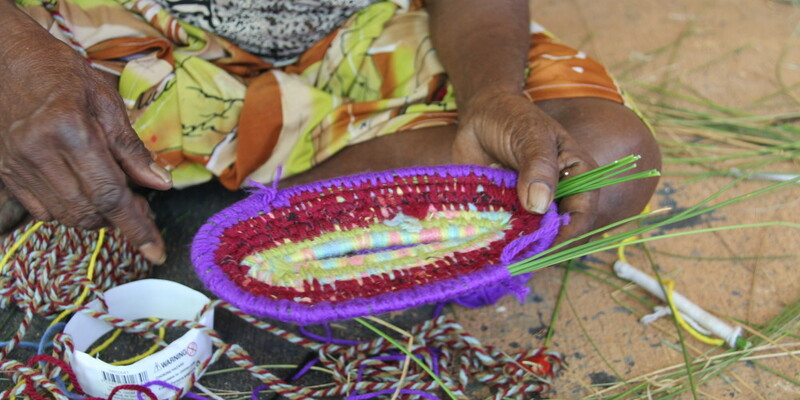 Over the course of four days, participants learnt how to collect the appropriate grass and reeds, which were then woven into baskets. 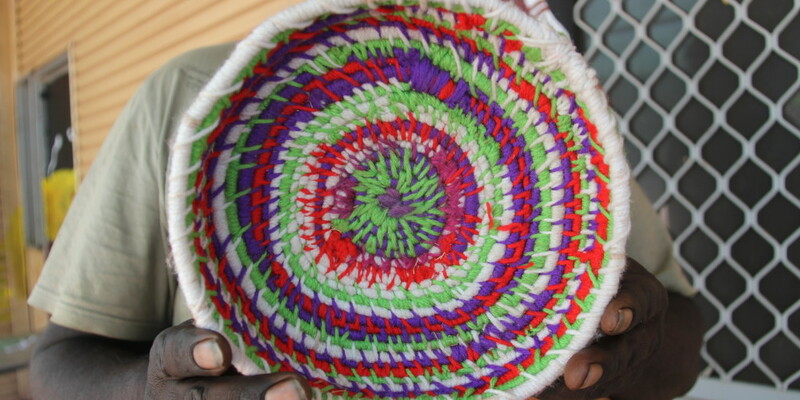 The project was a resounding success as a large number of additional volunteers and children became involved, and several beautiful baskets were produced. 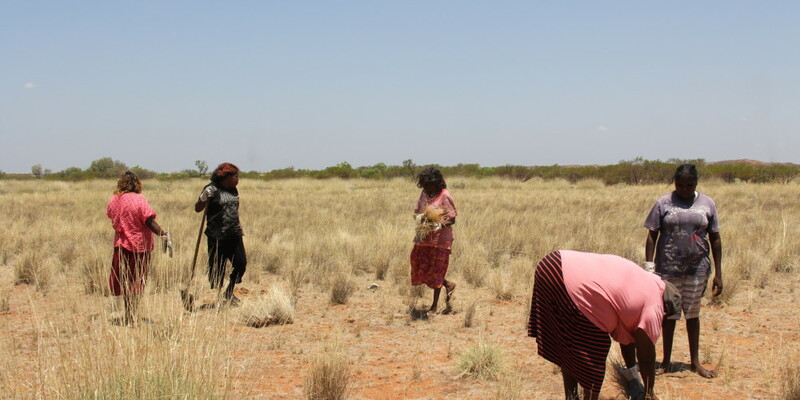 A high level of support was generated in Nullagine with local businesses expressing a desire to exhibit and sell the baskets. 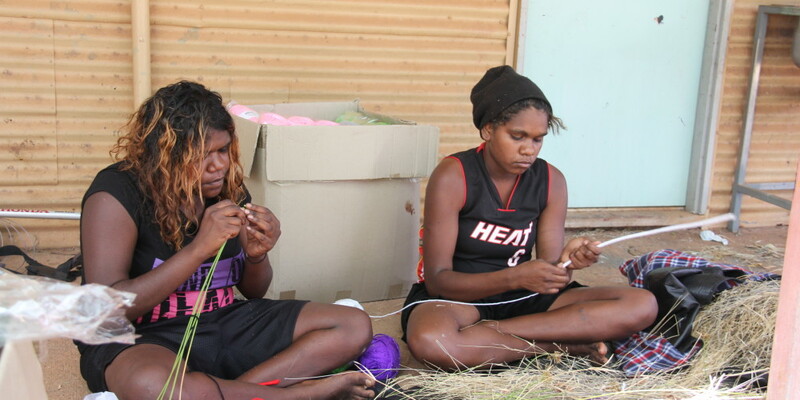 The Budadee Foundation hopes to continue running art workshops and help the community work towards a sustainable arts and tourism enterprise.